Engaging the parent of a child diagnosed with a neurological disorder or significant developmental delay can be intimidating. It is sometimes hard to gauge how much a parent wants to share about their child. In addition, it is not uncommon to learn that one parent is at a different place of acceptance than the other parent. For example, what a mother is willing and even wanting to share may be different when she is alone versus when her spouse is present. While every family’s journey is different, it is not uncommon for a father to work through the emotional ramifications of a special needs diagnosis differently and after the mother. It is also worth noting that simply using the term “special needs” or “disability” can be prickly. The term itself can conjure negative images of a child with perceived limitations beyond what a mother may envision for her child. And very often the long term effects of a diagnosis may be relatively mild. As a result, it is sometimes best to talk to a mother about her child without using the words “special needs” or “disability”. Let her be the first to term her child’s difference as a “disability”. Tell me how you discovered your child had a disability? What has God taught you through your child with special needs? How can we as a church support you? Would it help your child to receive a tour of the building and his classroom before his first Sunday in our program? What are your child’s strengths? What does he enjoy doing? What kind of struggles does your child have because of his disability? What progress have you seen in your child since his initial diagnosis? Christine Hoover is a church pastor’s wife and mother of a son diagnosed with high-functioning autism. 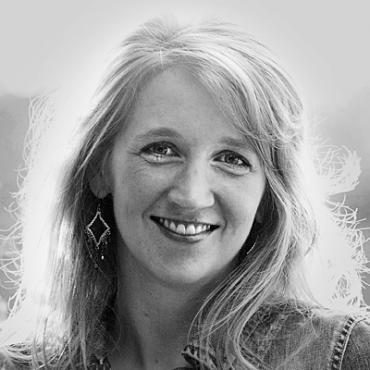 Christine is the author of The Church Planting Wife: Help and Hope for her Heart. Connect with Christine through her blog, Grace Covers Me, and on Twitter.